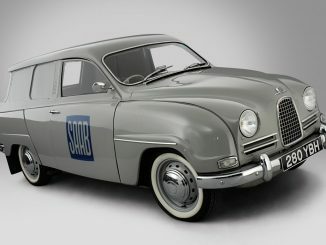 This unique Saab 95 delivery van was previously featured in an article here on SaabWorld and the last known details were from an auction listing in 2008. It is currently offered for sale by MotoExotica in St. Louis, Missouri. 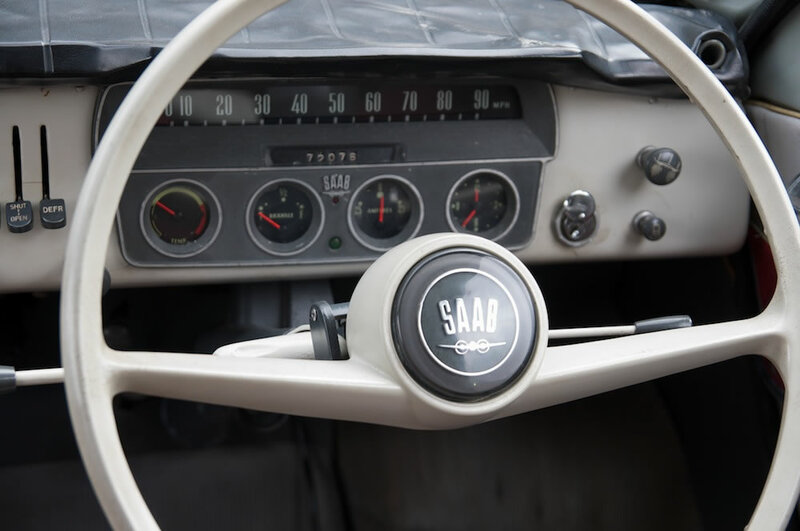 The description does not show when this Saab was imported into the USA. 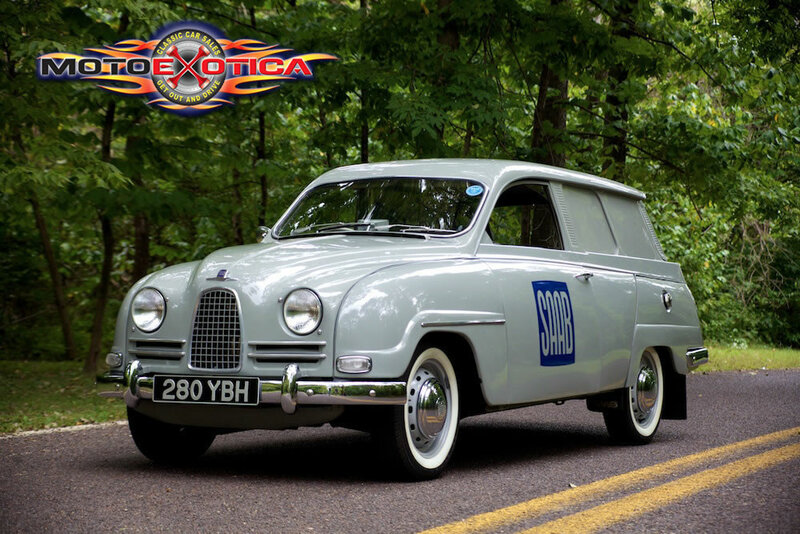 MotoExotica also had the Saab 900 Pikes Peak for sale in 2015 so they are no strangers to unique Saab models. 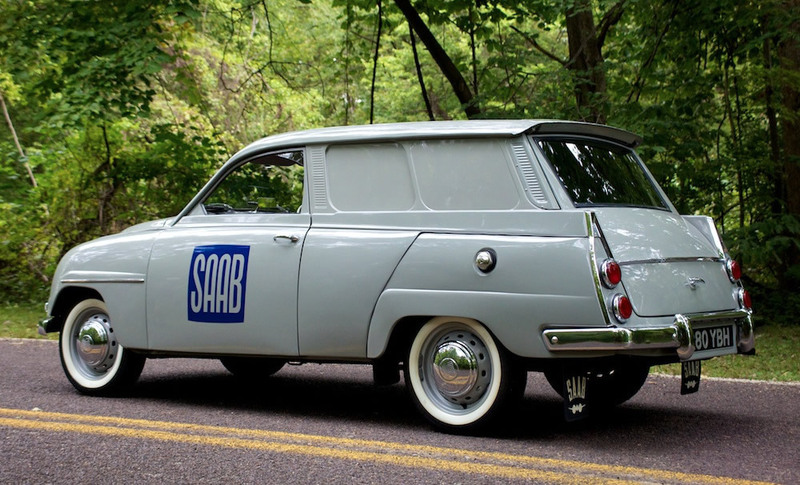 They don’t list a price on their own website and this Saab 95 is currently on eBay with 28 bids and price of $10,000. The reserve price has not been met yet. 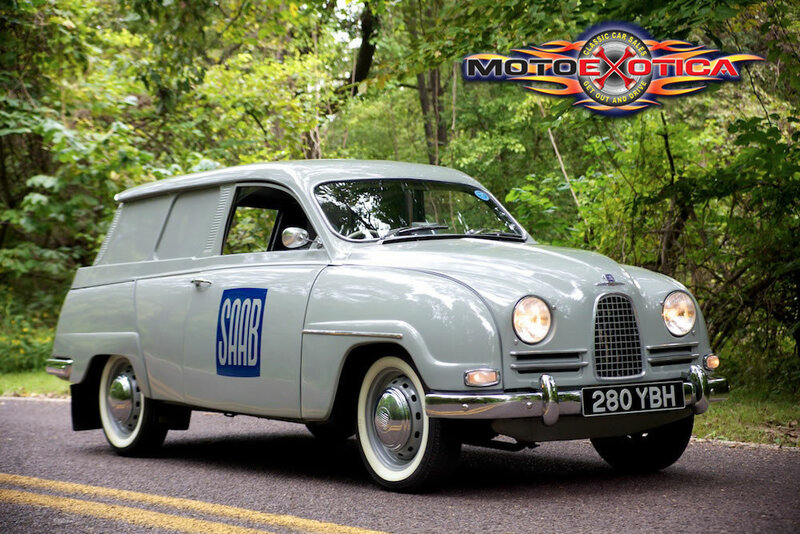 The phrase, “marches to the beat of his own drummer” suits this car and its fans to a S, not a T. MotoeXotica Classic Cars is very excited to offer this extremely rare 1962 Saab 95 “Bullnose” Panel Van. 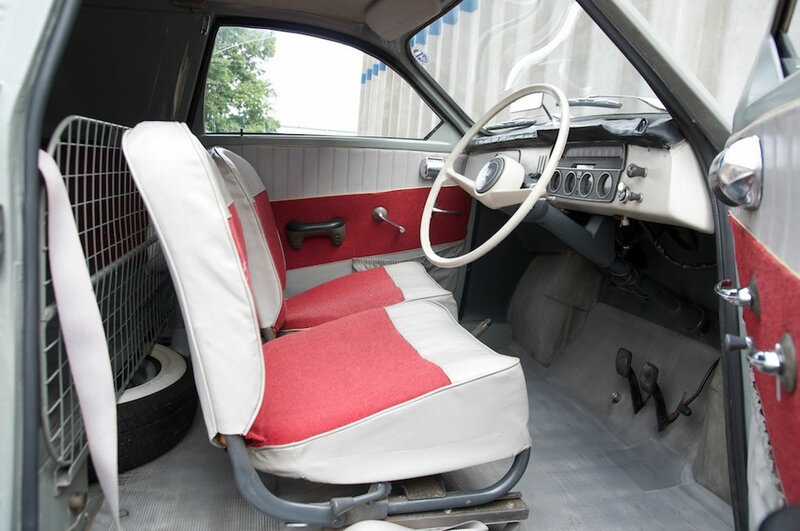 For certain markets, a special export version sedan delivery van was available without a rear seat and rear side windows. 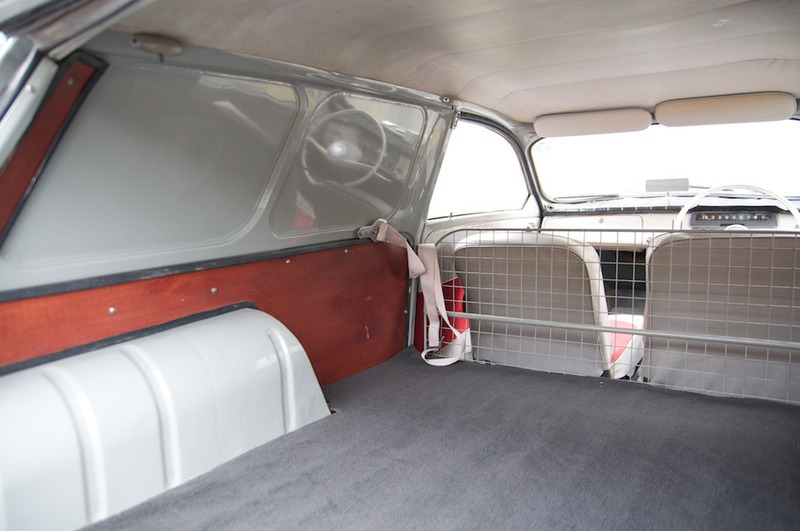 This particular example was one of only three right-hand drive vans exported to the United Kingdom and was used by dealers as a service vehicle. 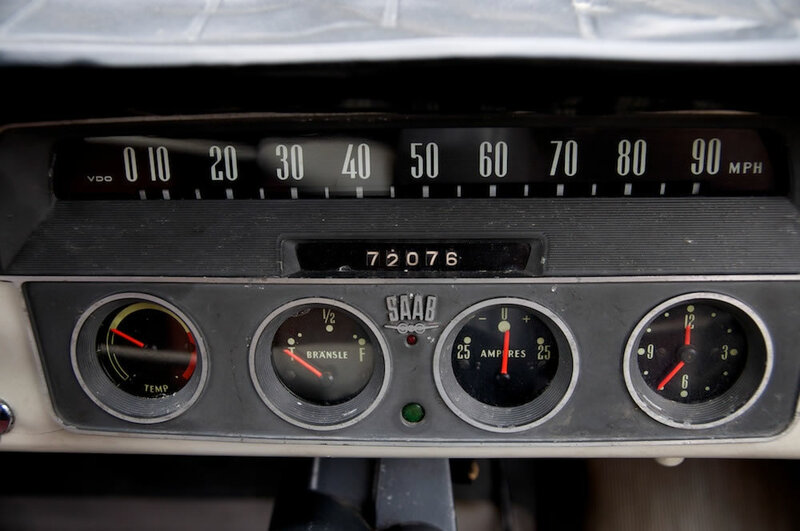 A classic car enthusiast found this unit in pieces and exposed to the local climate in November 1991 and began to restore it. 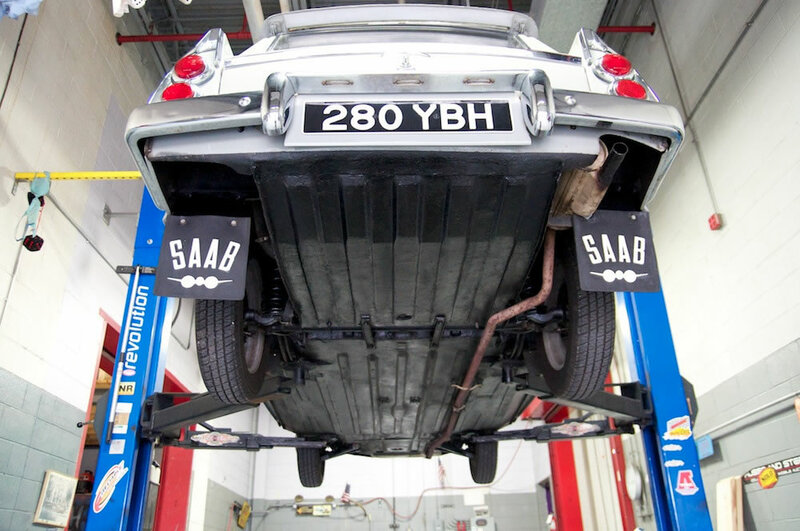 Before he could complete it, he swapped the Saab for a different vehicle from a man who used to work on the Saab many years before and wanted to rebuild it. 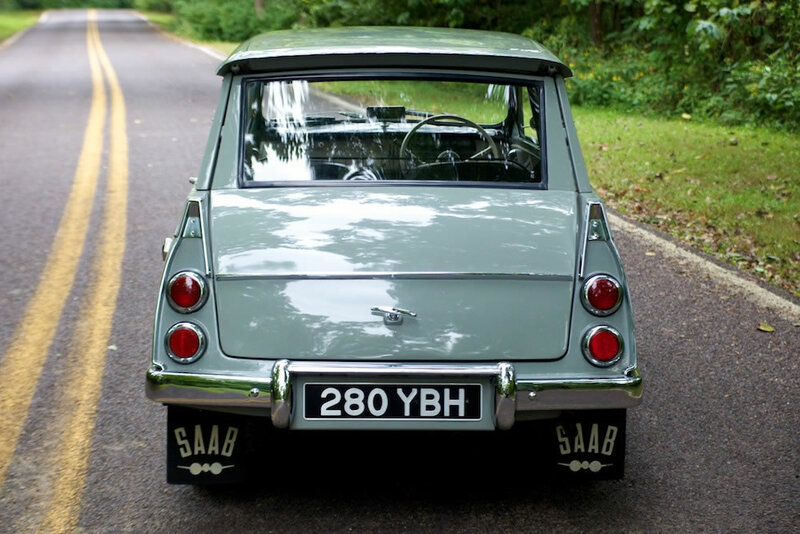 The man who found it in pieces saw it in a classic car magazine in 2000, fully restored. 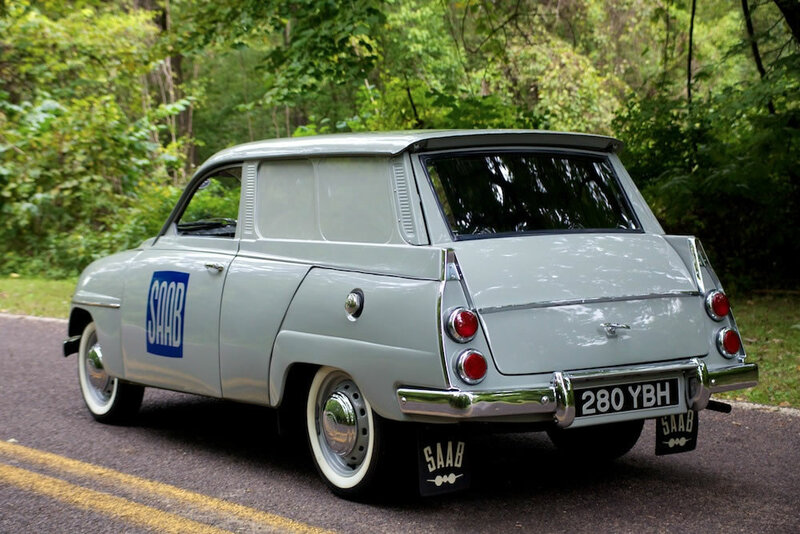 The Saab went on to change hands a few times before surfacing at an auction in 2008. 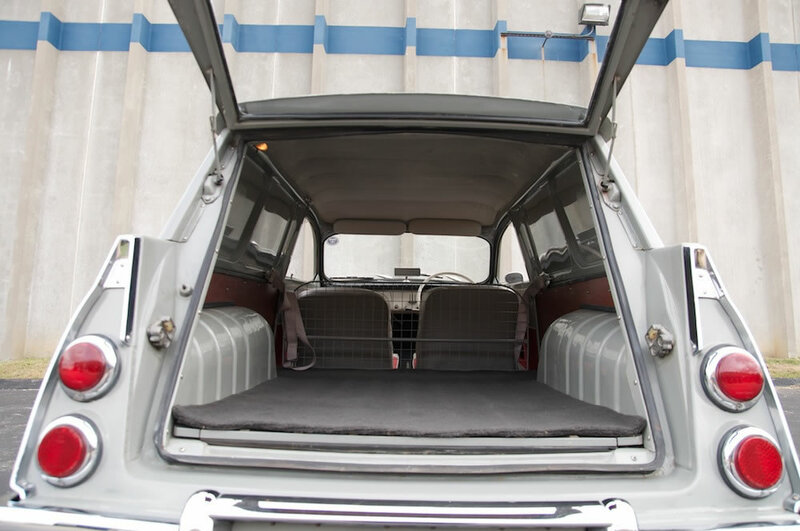 The van’s original color was grey; it was repainted yellow during the 1970s. When restored, the body was returned to gray. 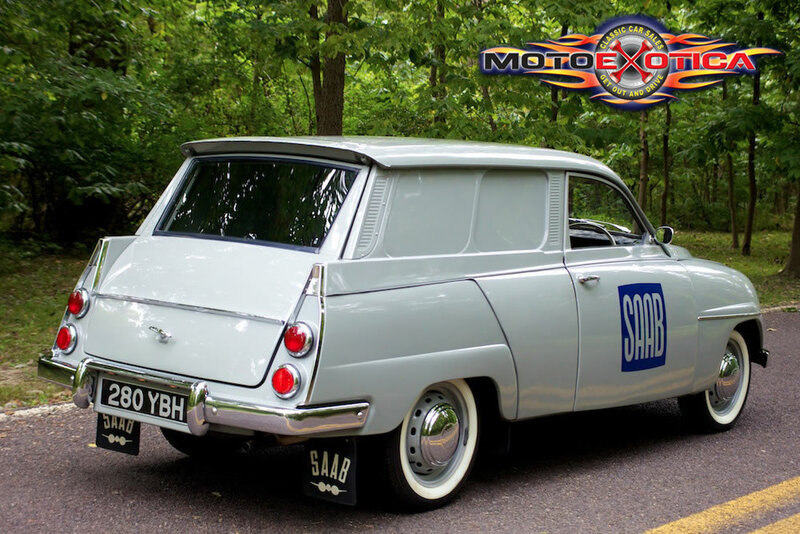 The wagon has a 841cc three-cylinder, two-stroke engine making 46 horsepower and is connected to a column-shift, four-speed manual transmission. 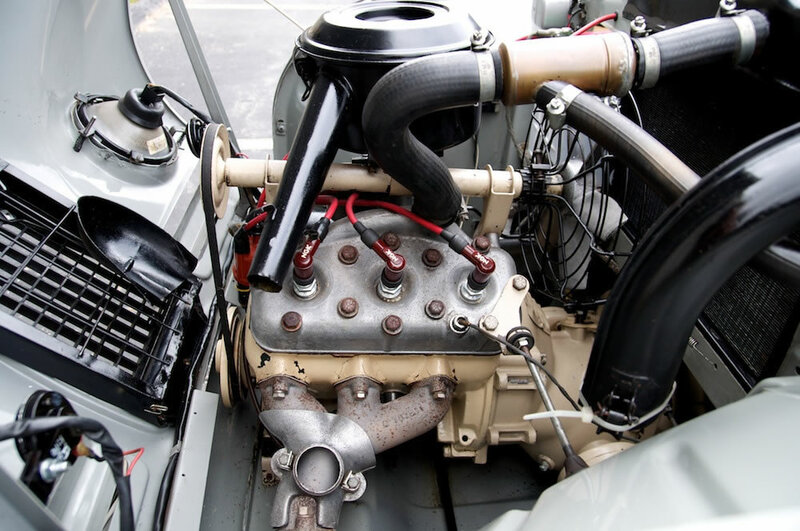 Continuing its ‘different’ theme, the engine’s cooling system is mounted so that the cooling fan faces the firewall with the radiator between the two. There is a small handle on the firewall that, when pushed, puts the car into a “freewheeling” mode. 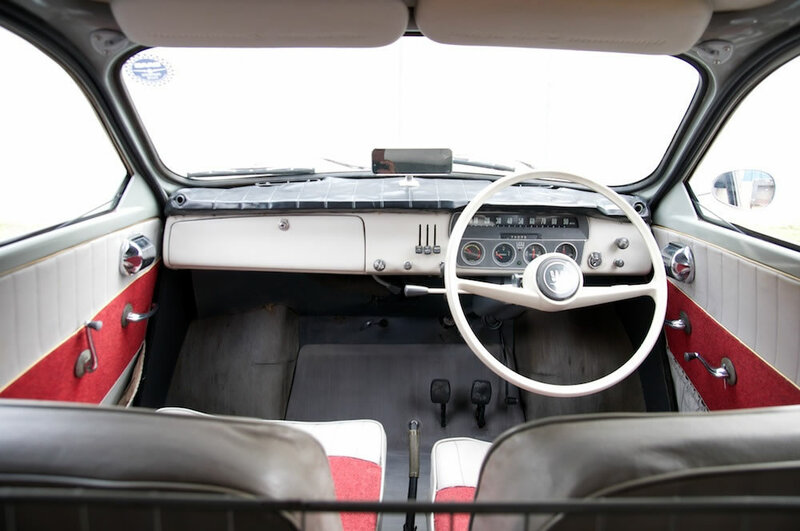 This allows the driver to coast downhill without seizing the two-stroke engine. 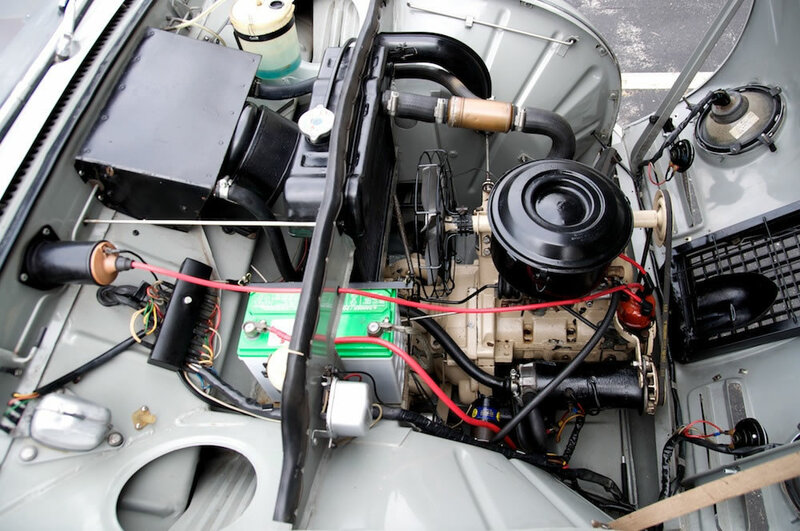 When power is needed, the transmission would engage and the driver could power the car up hill again. 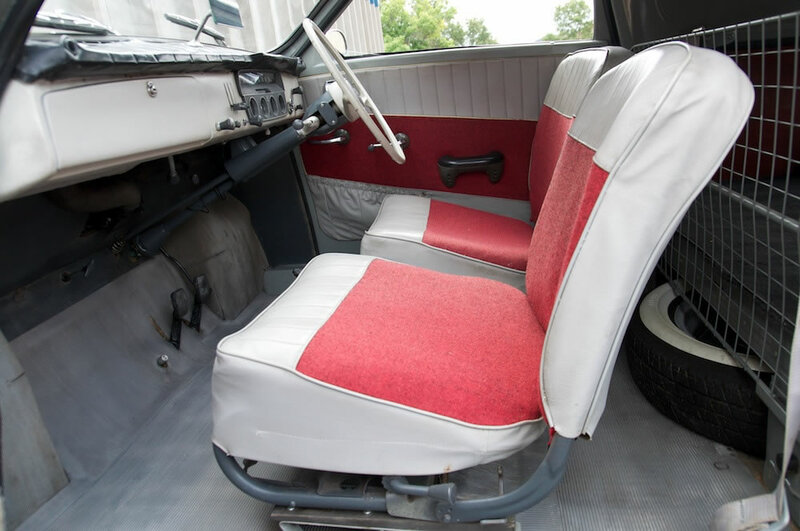 Inside, the two-tone brick red and gray front bucket seats look great and the gray floormats complement the utilitarian look and feel of the wagon. 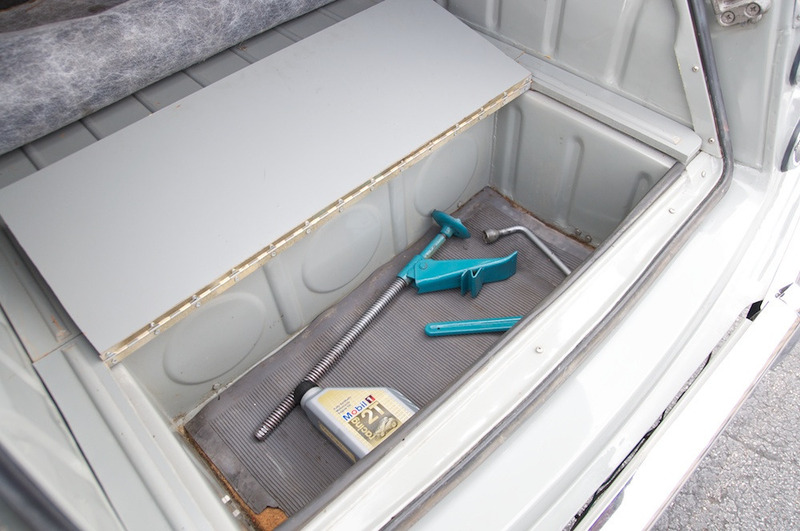 There is a gate between the driver and the cargo bay, to keep boxes and other items from sliding forward and interfering with the driver. 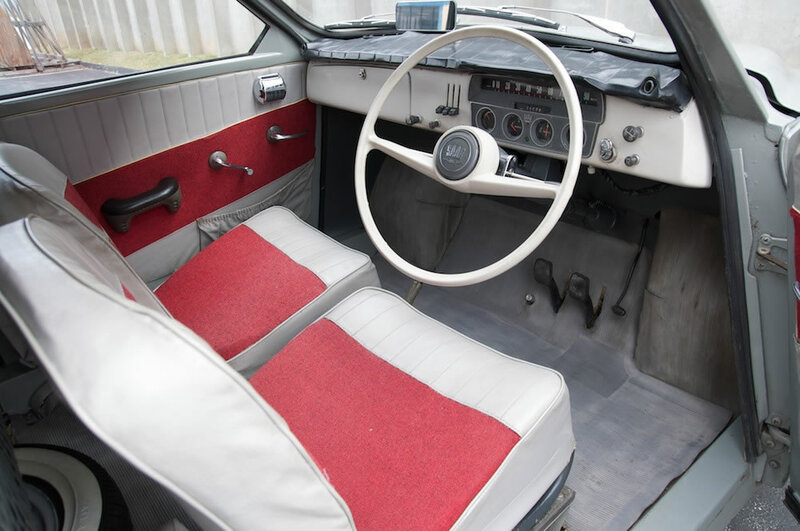 The headliner is in fine form, with the dashboard, two-spoke steering wheel, door panels, mirrors and gear shift lever in great shape. 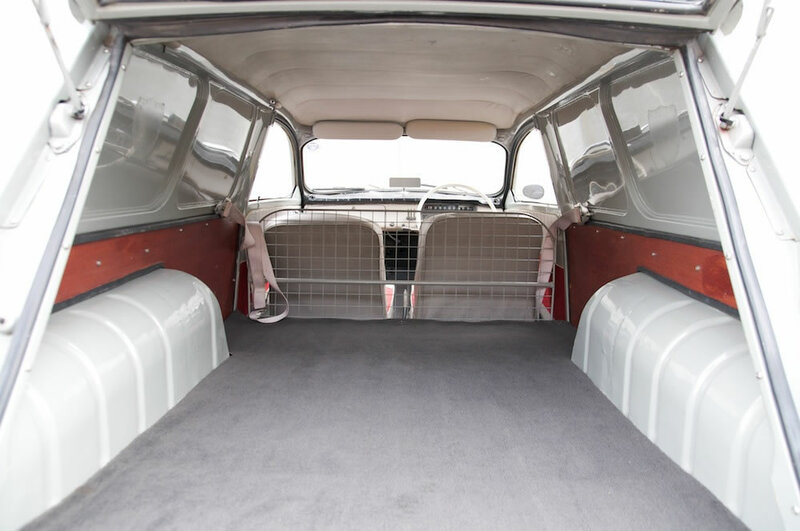 The cargo area looks nearly immaculate with its brick red carpeting. The wagon is a radio-delete model. 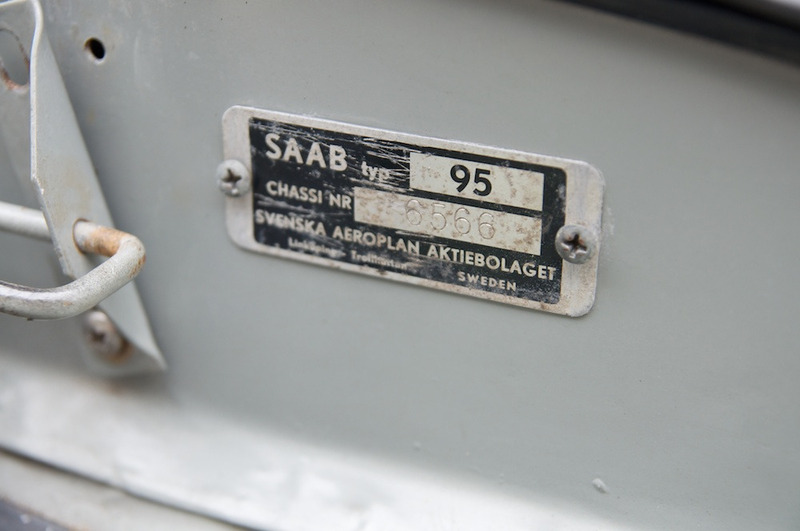 Documentation includes an English parts list from April 1998, contact information for the Danish Saab Museum and a Swedish parts list plus miscellaneous information. 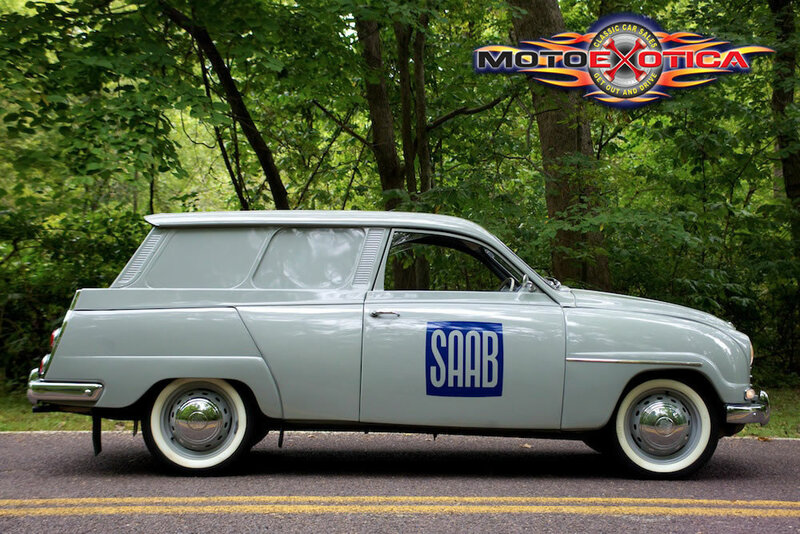 True Saab enthusiasts love these cars for what they are, making them desirable and affordable. GET OUT AND DRIVE!!! This car is currently located at our facility in St. Louis, Missouri. Current mileage on the odometer shows 72,068 miles. It is sold as is, where is, on a clean and clear title. There were 38 bids and the highest bid was US $13,100. However, the reserve was not met so it didn’t sell.